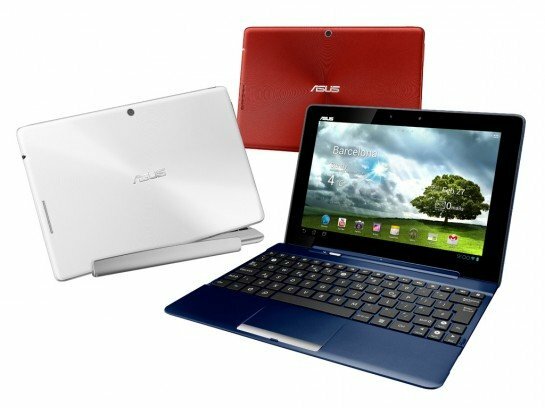 ASUS reveals the Transformer Pad 300, a new 10.1" tablet with NVIDIA's Tegra 3 4-PLUS-1 processor. The system runs Android 4.0 Ice Cream Sandwich and offers a IPS capacitive touchscreen with 1280 x 800 pixel resolution, 1GB RAM, 8GB SSD, MicroSD memory card slot, 802.11b/g/n WiFi, Bluetooth 3.0, micro-HDMI output, 3.5mm audio jak, 8MP camera with 1080p HD video recording, 1.2MP front camera, accelerometer, ambient light sensor, gyroscope, e-compass, GPS, and optional keyboard dock. The product measures 263mm x 180.8mm x 9.9mm, it weighs 635g and has a battery life of up to 10 hours. Pricing will be around $399.